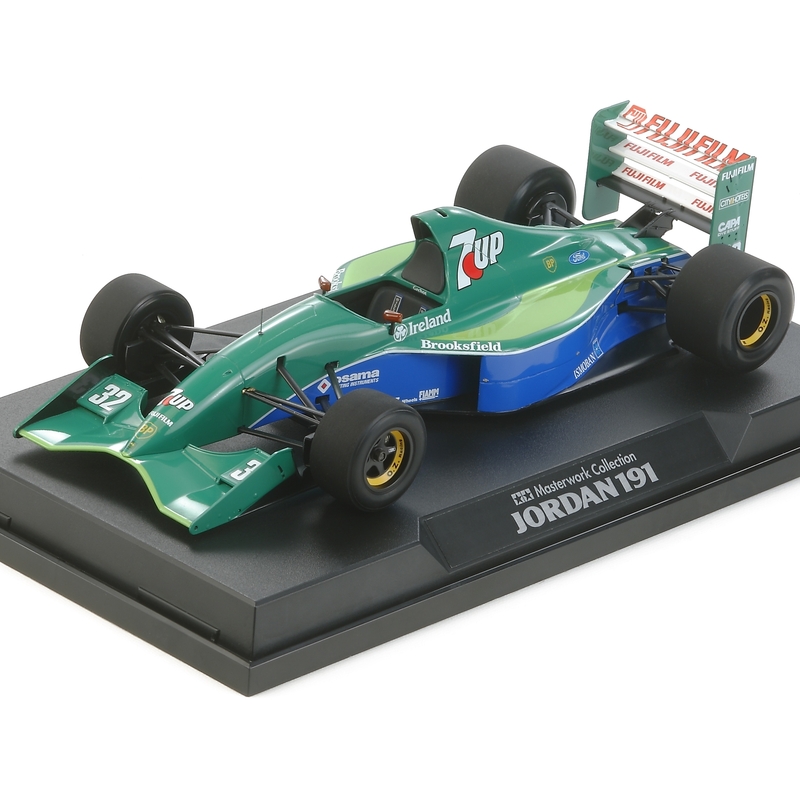 This is a built, painted and finished model of kit item 20032 Jordan 191. Tamiya's expert model builders have hand finished this item to be proudly displayed in anyone's office or study. Eddie Jordan Racing first challenged the F1 Grand Prix in 1991 with the Jordan 191 designed by Gary Anderson. The car had a carbon composite monocoque chassis and incorporated an aerodynamic body featuring an anhedral front wing and down-force-generating rear diffuser. It was powered by a 3,500cc Ford V8 HB engine capable of over 740hp. With Bertrand Gachot and Andrea de Cesaris at the wheel, the 191 displayed brilliant performance throughout the season and contributed to the team attaining a 5th place overall finish in the Manufacturers' standings. The 191 was also known as the first F1 car Michael Schumacher drove in his F1 racing carrier. Special Feature 1 Depicts Car No.32 which was driven by Bertrand Gachot in the 1991 F1 season. Special Feature 2 Display base with name plate included.